A surprisingly mild March has ushered in the spring steelhead season on the Lake Erie tributaries. All the tributaries have scattered steelhead in them (including wintered-over and fresh run fish, spawners and spawned-out fish) with a higher concentration in the upper areas. 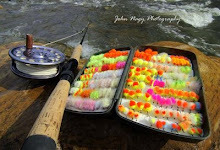 Look for "drop-back" steelhead (particularly in the lower areas) as more steelhead spawn-out and the spring progresses. Lake run suckers also start showing up in the tributaries in March. 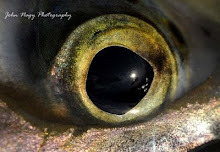 To avoid catching suckers, try to concentrate on the mid-to-upper sections of the tributaries (they typically can't run that far) and also fish faster water (suckers usually prefer moderate to slow current flows). Steelheaders should be aware that juvenille steelhead smolt plantings are typically done in the spring on the Lake Erie tributaries. 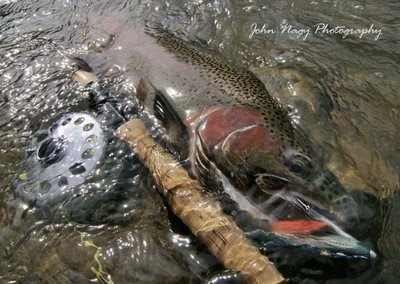 Try to avoid these stocking areas on the tributaries. 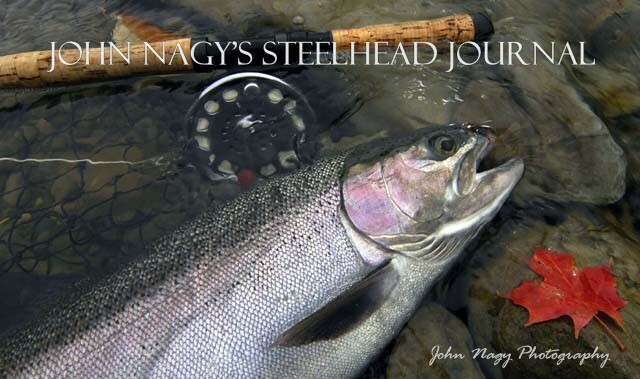 If you do catch a steelhead smolt, reel it in quickly and gently release it. If the fly is swallowed deep, cut the line and release fish to increase smolt survivability. These little guys represent future steelhead runs and need to be handled carefully. Cattaraugus Creek in New York has been high and off colored this spring but the Grand River in Ohio has been fishable at times. Anticipate a good run of "Little Manistee" strain steelhead in the Ohio tributaries with the peak of the run in April (with good fishing into May). The Lake shore temperatures on March 25, 2009 off Toledo (OH), Cleveland (OH) and Erie (PA) were 39, 37 and 38 degrees F respectively.